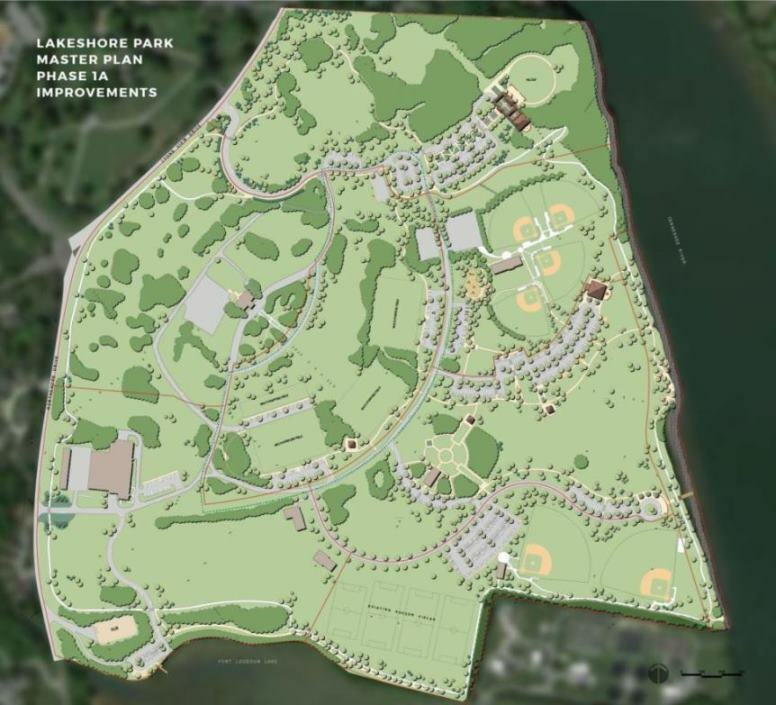 Denark Construction Selected As Construction Manager For Lakeshore Park Phase 1A Improvements - Denark Construction, Inc.
Denark Construction was recently awarded the contract as Construction Manager for Phase 1A of Lakeshore Park’s masterplan. The project includes several site-intensive features such as a Riverwalk, Multipurpose Fields and Walking Trails; as well as the renovation of the Historic Chapel and construction of pavilions and an ampitheater. Denark was awarded the job based on a competitive Request for Proposals through the Lakeshore Park Foundation. Partners Development is the Owner’s Representative and Ross-Fowler and Johnson Architecture are the designers. For more information on how to support this valuable community asset, visit www.lakeshoreparkknoxville.org.